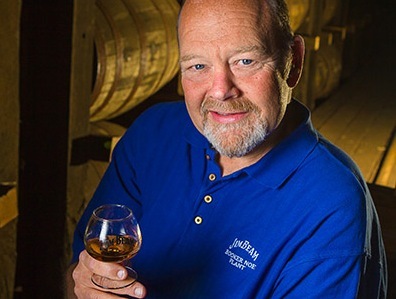 Jim Beam Master Distiller Fred Noe tells BourbonBlog.com that Beam will release the first ever Jim Beam Single Barrel Bourbon, which will have the same mashbill as the original white label Jim Beam. The projected date for this release will be in March 2014 and BourbonBlog.com is the media outlet to report on this release. 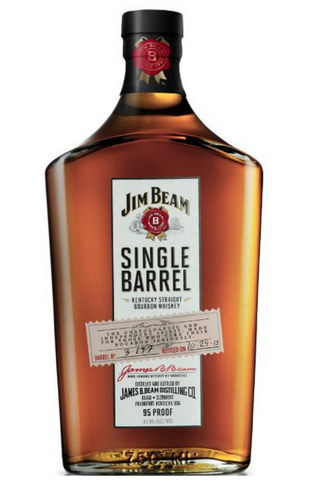 Noe confirms that Jim Beam Single Barrel Bourbon will be chill filtered. He says the bottle may have a look similar to that of the Jim Beam Signature Craft Series. The proof will be 95 proof. Noe also tells us that the age of the bottling has not been determined but could be somewhere between 4 and 7 years old. “We are considering several options for both proof and age and should know soon,” says Noe. Subscribe to BourbonBlog.com’s newsletter on this link to be the first to learn about new Bourbon releases. Jim Beam Single Barrel has a suggested retail price of $34.99 for 750 ml bottle.